Våra Budget Enkelrum är utan fönster. Rummen, som varierar i storlek upp till 12 m² är enkelt inredda och perfekta för en god natts sömn. 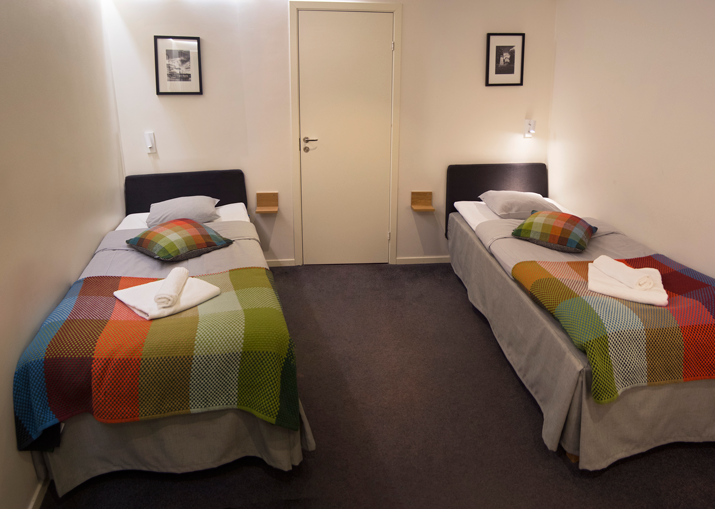 Our Budget Double Rooms are without windows and vary in size up to 15 m². 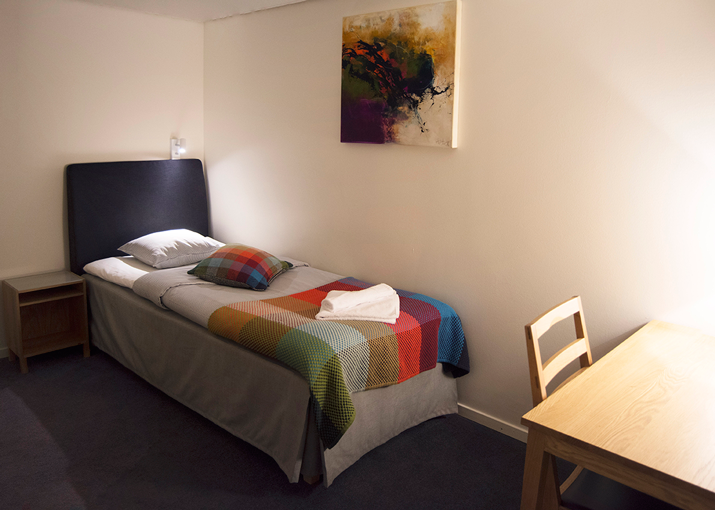 The rooms are simply furnished with a 140 cm quality bed from Jensen. Our Budget Twin Rooms are without windows. 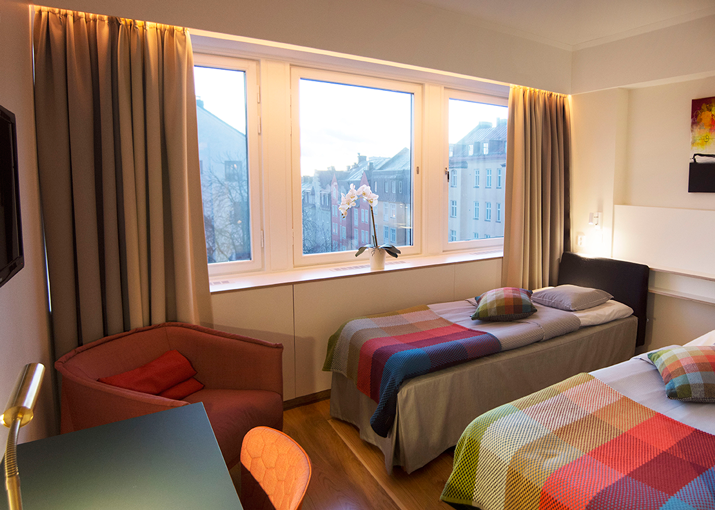 The rooms, which vary in size up to 15 m² are percieved as spacious and comfortable with quality beds from Jensen. 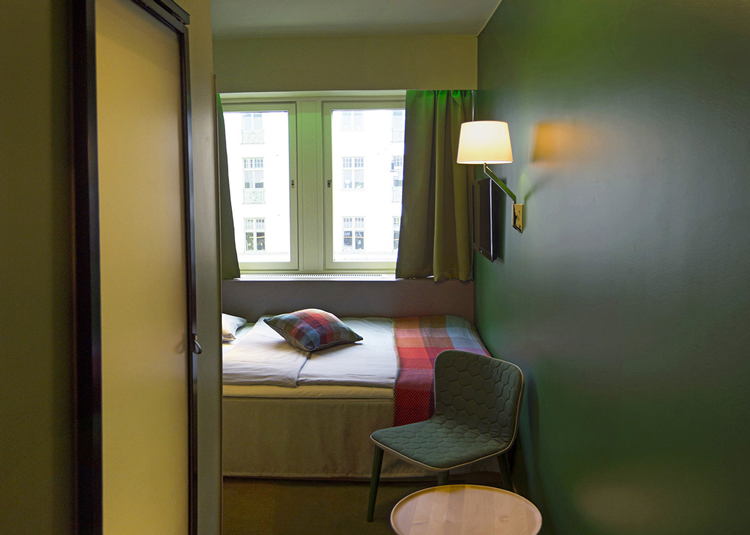 Our cozy Double Rooms Mini are newly built and vary in size up to 15 m². They have a compact, functional design with a built-in 140 cm quality bed from Jensen. 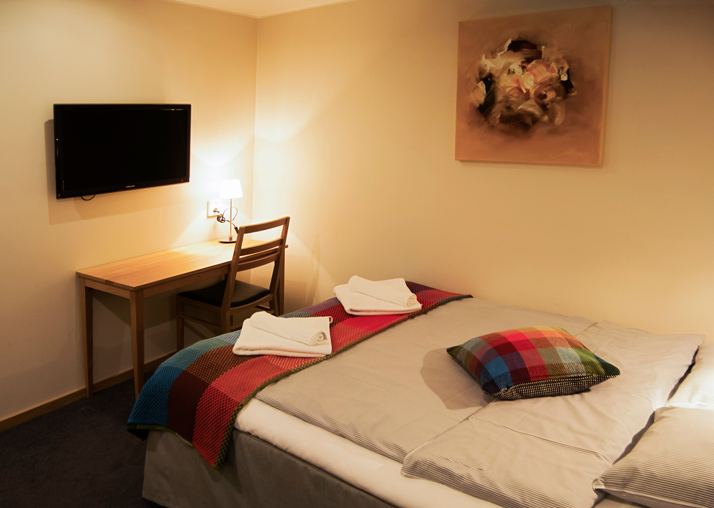 Our bright newly renovated and modern Standard Rooms can be used both as twin and double room. The rooms has quality beds from Jensen which can be separated or put together. Our spacious Superior Rooms are all located where the building is turning. This gives the room more windows and more daylight. 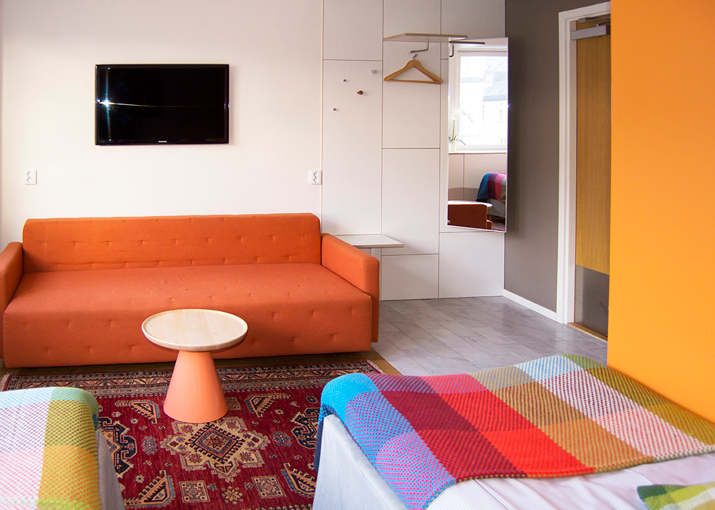 The Family rooms can accommodate a family of up to four people. In this room you will find two 90 cm beds which can be separated or put together. There is also a sofabed which is 140 cm wide. The family rooms are available with kitchenettes. Our Deluxe Rooms are completely newly renovated and modern design. You stay spaciously and have a bathroom with a bathtub and sauna or jacuzzi. 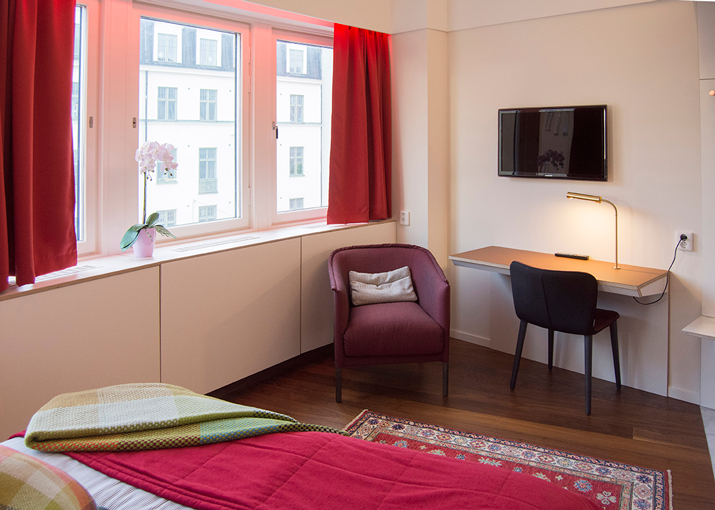 Our large suite, named after UN Secretary General Dag Hammarskjold, is known by word of mouth throughout Sweden. 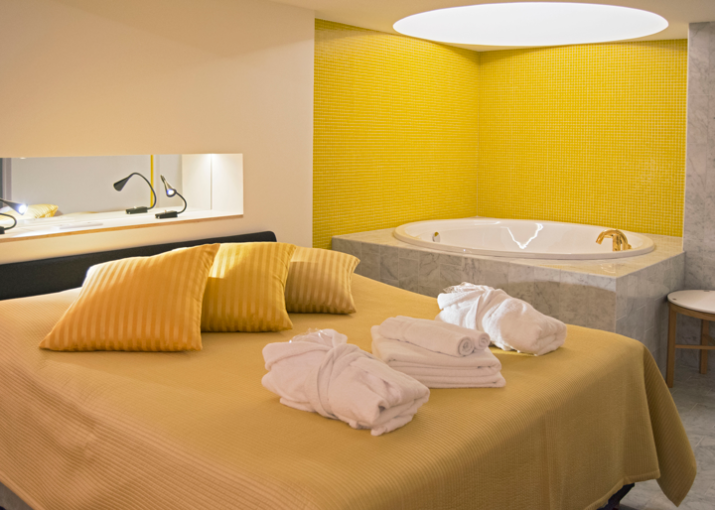 With a jacuzzi in the middle of the room, a private sauna and a rooftop our suite it is the only of its kind in the whole of Stockholm.